Our fire update today is some good news! We’re thrilled to report that Glacier National Park will be offering limited shuttle and tour access from the west side of the Going-to-the-Sun Road beginning on September 7. And of course the east side of the road has always been open, as is the majority of the park including Apgar, Two Medicine, St. Mary, Many Glacier and the North Fork. The Howe Ridge fire is burning in less than 1% of Glacier’s 1 million acres. The temporary closure area for public safety and fire suppression access is approximately 93,500 acres, or less than 10% of the park. A majority of Glacier National Park is open for business, folks. But, you may have read the news that the west side of Going-to-the-Sun Road is temporarily closed, and Lake McDonald Lodge recently closed early for the season because of air quality and safety issues related to the Howe Ridge Fire. There is also a new fire, called The Boundary Fire, located in northeast Glacier National Park a mile west of Waterton Lake. This is certainly not great news, but it comes with the territory—literally. We want to make sure you’re kept up-to-date with accurate information about fire conditions in our region. So here’s the skinny on Lake McDonald Lodge, Going-to-the-Sun Road and Glacier National Park. The lightning-caused Howe Ridge Fire is located northwest of Lake McDonald, approximately nine miles from West Glacier. Because of its location, safety issues, and staying-out-of-the-way of those fighting the fire, the Going-to-the-Sun Road is closed from the foot of Lake McDonald (near Apgar) and Logan Pass. But it is OPEN, from the east side between St. Mary and Logan Pass. We’ll keep you posted if that changes. Lake McDonald Lodge also announced on Friday it was closing for the season because of the fire. Although we have our fingers crossed and crossed again that the fire will be suppressed soon, it’s hard to keep a staff on hold waiting for that to happen. So we understand the decision. Glacier National Park Lodge’s sister property, Many Glacier Hotel, remains open, as do a majority of other accommodations and businesses in the area. The iconic Red Buses are still operating, (with altered routes in some cases), as are Glacier Park Boats Tours with the exception of Lake McDonald. And there’s also still horseback riding, whitewater rafting, hiking and fishing, visitors to the park just need to be flexible about where. In the meantime, we here at Glacier Country have been doing the rain dance daily, and today it looks like it’s paying off. Recently, Western Montana has been experiencing wildland fires, or fires that take place mostly in the backcountry and are usually sparked by lightning. They’re a natural part of our ecosystem. One of the results of these fires is that the air can become smoky, and occasionally plans have to be altered because of a road closure. We’re here to help in case either of these situations impact your trip to Montana’s Glacier Country. 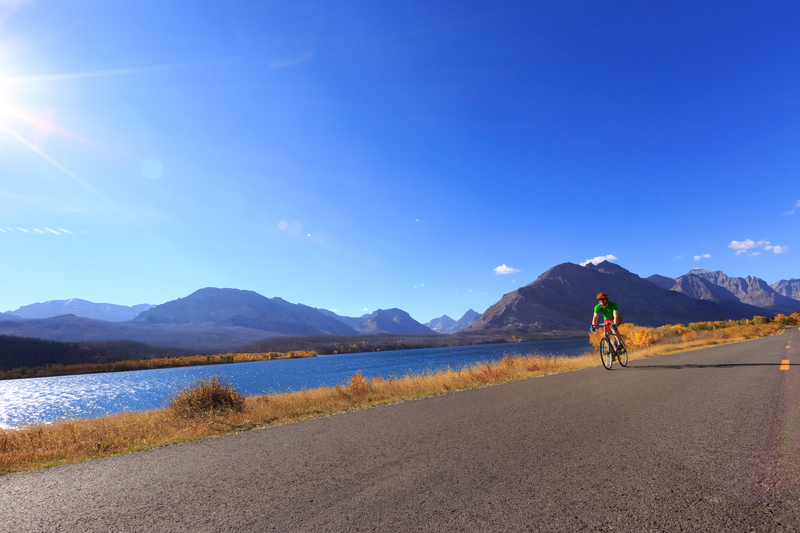 Find gorgeous views and blue skies around every bend on the east side of Glacier National Park. It’s unfortunate—we agree. We’d rather it weren’t smoky either. But it’s not calamitous, and there are many, many places in Western Montana, and the state in general, that are smoke-free. And if there does happen to be some smoke in the air, we have lots of indoor activities to keep visitors entertained. Museums? Breweries? Arts? Great dining options? We’ve got it all. Secondly, check out some of the resources below. They’ll let you know where the fires are (or, more importantly, where they aren’t), where the smoke is and if your visit to Western Montana will be impacted by either. Chances are, it won’t be, but if it is, here are a few things to keep in mind. You’re safe. Most of the fires are in the backcountry, miles from civilization and any structures. Montana is home to 3,443,038 acres of wilderness, and most of the fires are there. If, by chance, a fire gets close to a community, our firefighting experts communicate, evacuate if necessary, and communicate some more. You will not find yourself unwittingly in the midst of a wildfire while driving down the highway. Ever. Public safety is always the first concern. If an area is open, it is safe. Montana is huge. Vast, in fact. Over 145,556 square miles or 94,109,440 acres, to be precise. If you read that a fire is 6,400 acres, keep it in perspective, as that’s only a tiny, tiny fraction of Montana’s total acreage. Sometimes newspaper headlines or social media posts can be unnecessarily dramatic and imply that Montana as a whole is “on fire.” It sounds better than to say .000068 of Montana is on fire, which is actually more accurate. Fire is a natural part of our region’s ecology. Most fires are started by lightning, and are responsible for maintaining the health and perpetuity of certain fire-dependent ecosystems. We don’t pretend to be scientists, but we do have a lot of scientists in our area and resources in our partners at the state and federal levels, and we’ve attached a link to fire ecology below. And, because we always think the glass is at least half full here in Glacier Country, when the sky is a bit smoky, the sunsets are truly phenomenal. And, morel mushrooms, which are comparable to the delicious caviar of the mushroom family, like to grow in post-fire areas. We like that. 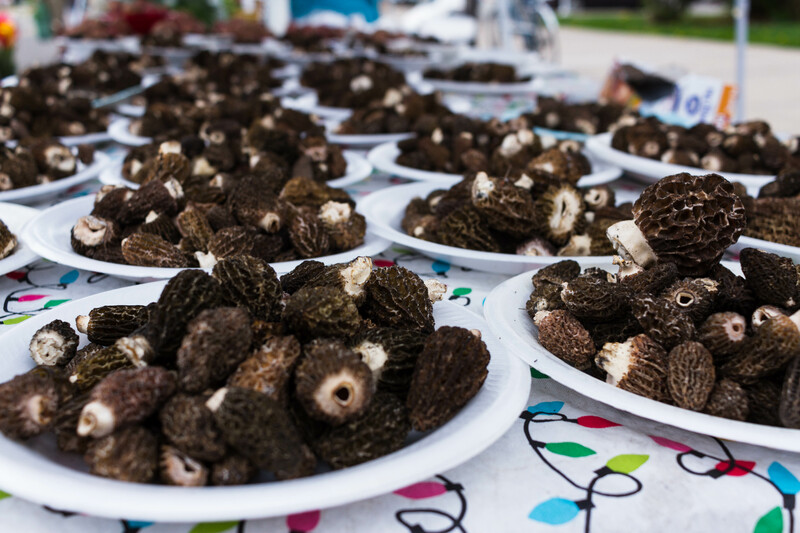 We’re already looking forward to a great morel mushroom crop next summer! Here are some links that will help you plan your trip, and help you make informed travel decisions. Check back often, as these sites are updated daily. If your travel plans have been affected by the current closures in Western Montana, Glacier Country Tourism’s call center can help you revise your travel plans. Chat online here or call 800.338.5072. This entry was posted in Uncategorized on September 4, 2018 by glaciermt.